Shelby American involved in refining of Ford vehicles, presented a list of improvements for Ford Focus ST 2013 at the Detroit Moto Show. Focus is the first hot hatch, upgraded by specialists of Shelby. The cost of improvements is 14 995 000 dollars, overdrawing the cost of Ford Fiesta on the North American market (starts at 14.2 thousand dollars). 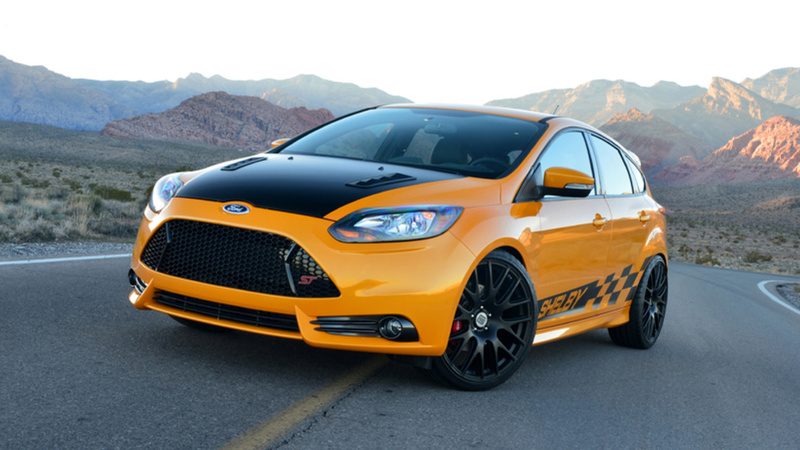 Shelby plans to release 500 tuned Focus ST as reported Autoblog. Shelby adds Ford Racing suspension components and bigger brakes with cross-drilled rotors, all finished off with a Borla exhaust system incorporating larger, circular outlets. Cheesy body graphics aside, some of the styling enhancements include functional hood vents, a hatch spoiler, unique interior bits and wider wheels and tires. The hot hatch is available in a lot of graphic versions: Tangerine Scream, Oxford White or Race Red in combination with labels Checker Flag Splash, Shelby Traditional and Shelby Competition. The car got a new gear-change shift lever and seats with Shelby label trim. and a six-speed mechanical transmission. Owing to them the tuned hatchback accelerates from 0 to 100 km/h in 6.5 seconds. Its top speed is 250 km/h. However, Shelby does mention a tuning option that will increase the Focus ST output to more than 300, although no pricing is mentioned.